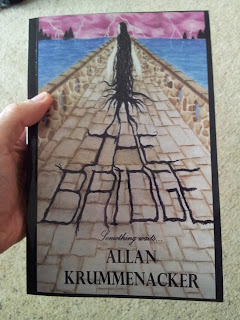 I just go another 4 star review for "The Bridge". Follow the link below to read it. Mind you it's short, but sweet. Okay, as you all know my first book is out. "The Bridge" is available on Amazon, Kindle, Barnes and Noble, Kobo, I-Tunes, Nook, Kobo, Smashwords, Createspace, and a bunch of other places. How did I do it? And how are the sales coming so far? Are probably what you are asking at this point. Well, I'll be honest, the sales are going slowly. The book has only been out maybe 2 weeks and during that time it took over a week for it to appear on a number of those sites. But that's no excuse. It is definitely out there, so why aren't more people buying it right away? The answer is simple, "They don't know it's out there!" Now here's where we get into today's discussion. I'll briefly answer the first question "How did I get it in so many places?" Then we'll address how I'm going about to correct the problem of getting the word out. Just wanted to share a few things about my new novel "The Bridge" with all of you. I've been getting a lot of questions and I'm hoping to answer most, if not all of them, here. The novel is a strange blend of horror, paranormal mystery, and science fiction set in modern day. 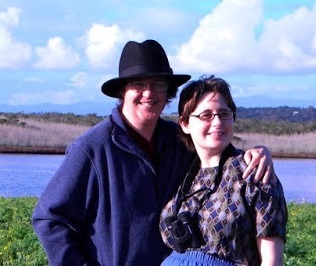 I have psychics, police, ghosts and a mystery that initially dates back some 300 years and then beyond that. It is now available as both an e-book and in print. For those who want print follow the Createspace or Amazon links provided below. OR, if you are interested in getting a signed copy please e-mail me. The price for a signed copy is the same as at Createspace or Amazon ($15.99) and that will include the shipping price as well. I'll provide my e-mail address below along with the links. "THE BRIDGE" is finally here! My debut horror/paranormal mystery/sci-fi novel is available on Smashwords starting TODAY! The e-book formats are Nook, Apple, Sony. Kindle and traditional Trade Paperback will be available shortly. In the meantime you can go to Smashwords for a sample of the book as well as purchase the novel. 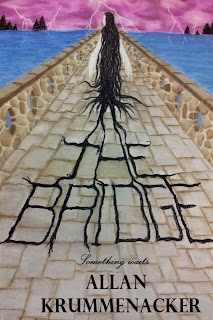 My debut novel "The Bridge" is a unique blend of horror/mystery/science fiction and it will be available on Smashwords, Kobo, Apple, Sony, Nook this Friday. Here's a the book jacket blurb"
A quick Vlog entry about book covers and what to watch for in making your own from scratch. I don't recommend necessarily doing one yourself, unless you are an artist. It's fine to maybe make a rough sketch and get an artist friend or even hire someone to do it for you. There are plenty of artists who specialize in doing book covers and you can find them all over the internet, or through friends on FB. In my case, I am an artist, but also my cash flow is very tight. So I basically HAD to go this route. So this vlog entry is about the thoughts I put into the image and how it would appear to the casual reader going through a bookstore, or skimming through Amazon or Barnes and Nobles' websites.